The design for this complex of offices and services for the provincial energy company takes its cue from logistic and functional differences between the various departments. It tucks parking space below a raked public deck, with the service centre underneath the tallest end of the ramp. On the deck is a free-form glazed public zone; the rest is left open. 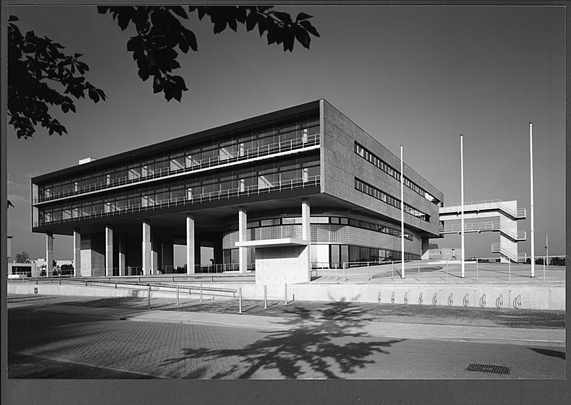 Up above, supported on a system of concrete piers and columns is a square volume containing two floors of offices. Crowning the whole is a rooflight.